The number of players who have reached that club is extremely small when you consider the sheer number of players who have played the game. Currently there are only 25 players in the entire century-plus long history of the game of baseball in the 500 Home Run Club. Of all of those players, the first player to reach over 500 home runs was Babe Ruth. He would also end his career with over 700 home runs total. 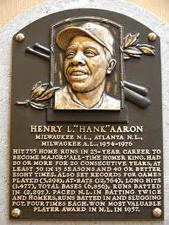 Hank Aaron is another name that you probably know who hit over 500 homers and ended up on the Hall of Fame. Hank also broke the Babe’s total career home run record and retired with 755 under his belt. Willie Mays is another in the 500 Club and in the Hall of fame. He retired with a total of 660. Frank Robinson is another legend who hit his 500th homer on September 143, 1971 while with the Baltimore Orioles. He played from 1956 through 1976 and ended up retiring with 586 homers total. Harmon Killebrew played for the Minnesota Twins and hit his 500th homer in August of 1971. He retired with 573 homers. 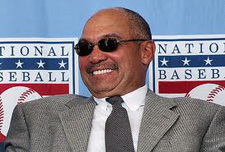 Reggie Jackson, Mr. October, retired from baseball in 1987. He had a career total of 563 home runs. He hit his 500th homer in September of 1984. Mike Schmidt hit 548 total home runs for his career. Mickey Mantle, of course, is in the Hall of Fame and he had 536 homers total. Jimmie Foxx played for the Boston Red Sox and he ended his career with 534 homers. Ted Williams retired with 521 and Willie McCovey retired with 521 total home runs. 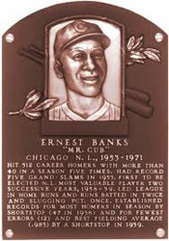 Ernie Banks spend his entire career with the Chicago Cubs and retired in 1971 with 512 homers. Right there, tied with Banks, is Eddie Mathews who retired with 512. Mel Ott was right behind them with 511 homers total. Finally, there’s Eddie Murray who retired with 504 homers. There are a number of players out there, such as Alex Rodriguez, Chipper Jones and Jim Thome, who have hit 500 homers, but have not yet retired. As such, they are not in the Hall of Fame. It seems likely, however, that their 500+ home runs mean that they will soon join all of the legends listed above. Of course, that remains to be seen.